Pickled Beets! This Recipe is Simple and Unfailingly Delicious! Picked Beets! This Recipe is Simple and Unfailingly Delicious! I promise you! I I think beets are beautiful! There's something so grounding and appealing about that deep purple bulbous base, the way the greens sprout lavishly, red veined and glossy, brandishing nutrients and vitality. Beets are spring and renewal and rebirth and sunshine! Beets my friends, are simply divine! Beets are also ridiculously healthy! Considered to be a super food, every inch of the beet is edible. The greens make a great salad or can be sauteed like spinach. When it comes to the beet itself... there's no end to its uses. Beets are full of potassium, magnesium, fiber, iron, phosphorus, vitamins A, B and C.
Consuming beets regularly results in a natural liver and blood cleanse. One of my favorite ways to eat beets is to pickle them! 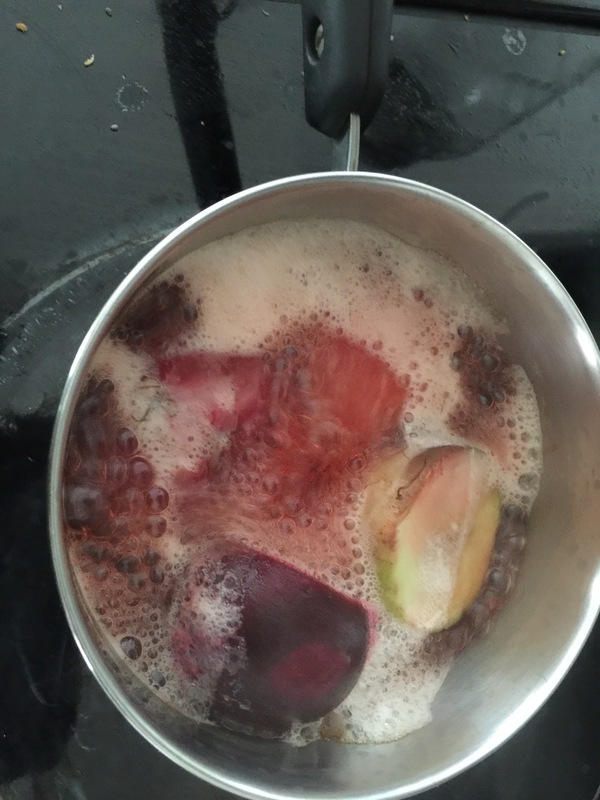 Place your beets in a pot of boiling water. 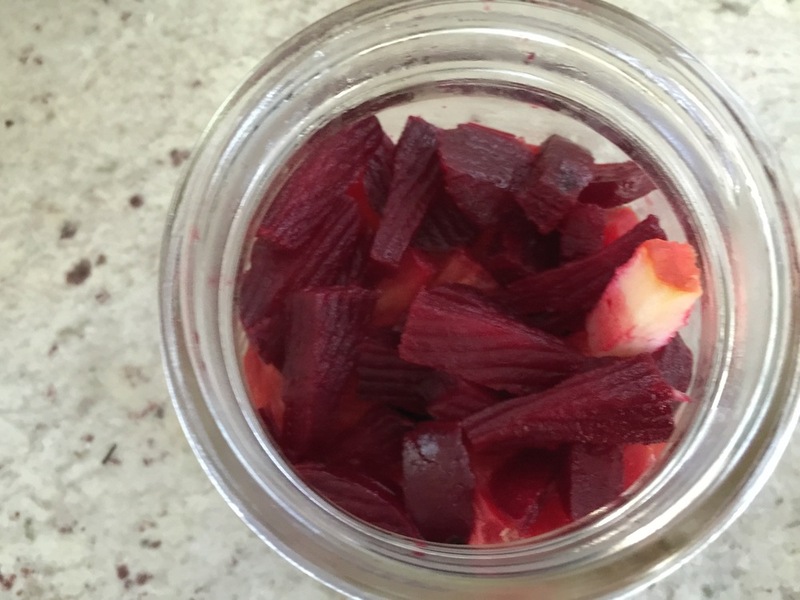 Use as many beets as you think will fit inside your jar of choice. I usually use three beets to fill my 6 ounce mason jar. After ten minutes, reduce your boil to a simmer. Simmer for fifteen minutes. Rinse your beets in a bowl of ice cold water. The skin will rub off easily at this point. Once you've removed the skin, chop your beets into cubes. I always include some of the greens and the stalks. Place your beets into your mason jar or jars (depending upon how many batches you intend to make). You'll want to fill the glass about 75% to the top. For a 6 ounce jar, I add 1/2 teaspoon of salt, and 1 teaspoon of raw honey before pouring my apple cider vinegar over the beets until I've reached the top of the jar. Affixing my metal lid and ring, I shake the beet concoction vigorously to combine all of the ingredients and I store in the refrigerator. The beets will last about ten days in the refrigerator. Pickled beets also make an amazing stand alone dish. Consume them prior to eating your meal to stimulate digestion. Think chutney or kimchi. Don't throw away your beet tips! 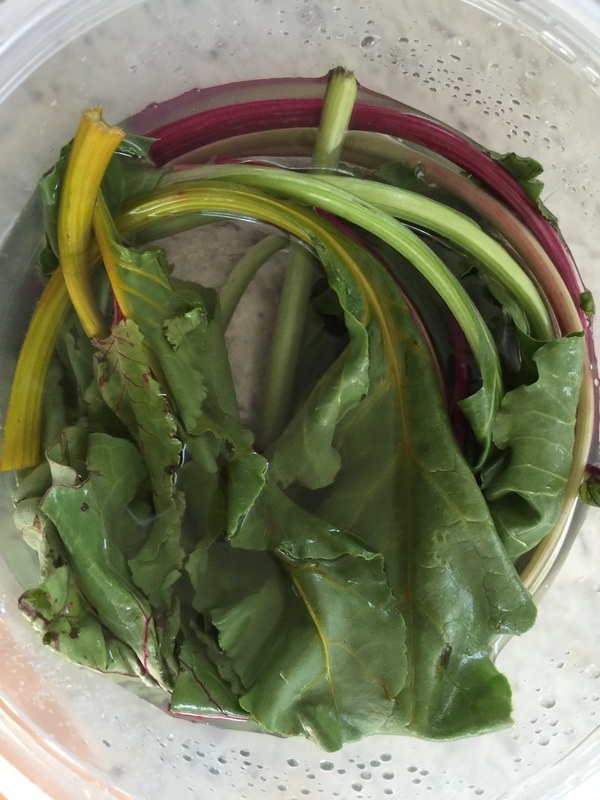 Place those tips in water and you can regrow the delicious stalks of greens for future salads. Or if you have a green thumb, you can plant the beet tip and grow some more beets! See, beets really are gifts that keep on giving! Older PostDrink Your Nutrients With Ambronite!